Infotainment is one of the key megatrends fueling the pervasiveness of microelectronics in cars. Users want to be connected and conveniently access their personal content anywhere, anytime, on all of their devices. The in-vehicle becomes just another node in the network, an extension of the user’s digital and social lifestyle (see this article’s lead-in photo). A “connected” car is also more comfortable, safer, and energy efficient, having early access to important information such as weather reports, traffic jams, or road accidents. According to a recent study, 60 percent of new cars will be connected by 2017. Given this scenario, in-vehicle electronics are dictating features in the car, and the innovation cycle time is becoming shorter and shorter. Meanwhile, a key to this automotive infotainment innovation is the system’s enabler: memory. ANR-IB75N1/A/B is a rackmount platform (440x372x44mm) which can be installed in the 19” rack. It can carry a 3rd generation Intel Core i i3, i5, i7, or Pentium processors to deliver higher efficiency, increased processing throughput, and improved performance on applications. ANR-IB75N1/A/B also comes equipped with a maximum 16GB DDR3 memory and optional 2 or 4 x SFP and 8 x LAN ports. System Integrators can select different configurations for their network appliances. It offers the best P/P ratio in applications like the UTM, IDS/IPS, VPN, Firewall, Anti-Virus, Anti-Spam, RSA gateway, QoS, streaming. ANR-IB75N1/A/B uses 80 Plus PSU which reduces energy consumption and helps protect the environment. The software and hardware configurable LAN bypass feature also prevents communication breaks due to power loss or system hang-ups. In addition to Intel long life support chipsets, ANR-IB75N1/A/B is designed with a long-term support of 5 years. 3. DDRIII DIMM x 2, up to 16GB memory. In recent years, building, maintaining, and evolving proprietary network systems for telecom-grade applications that are highly available and “always on” have become increasingly prohibitive from the perspective of cost, risk management, time to revenue, and so on. The custom-built approach becomes even less cost effective as Communications Service Providers (CSPs) move toward offering cloud-based services, where they have to compete with non-traditional providers that offer such services on networks built using Commercial Off-The-Shelf (COTS) building blocks. A change in market dynamics is causing a fundamental paradigm shift in industry’s thinking: Instead of continuing to invest precious Research and Development (R&D) resources and dollars to build expensive, special-purpose proprietary systems with the hope that they will never fail, industry leaders are now assuming that there will be hardware and software failures and thus designing systems and applications that continue to provide end-user service in the presence of such failures. Can your gaming platform last long? The first mezzanine standard to go through the VITA/ANSI process was the IndustryPack. Developed by gaming platform Computers, it was chosen by the Motorola Computer Group as the expansion mezzanine for its MVME162 SBC. The move to make IndustryPacks a standard was joined by Acromag and the VITA 4 IP Module effort was launched. Since then, no fewer than eight mezzanine standards have gone through the VITA/ANSI process to become accredited gaming platform. Posted on April 16, 2013 April 16, 2013 Categories Industrial computer, Networking Appliance, Panel PCTags Industrial computer, Networking Appliance, Panel PCLeave a comment on Can your gaming platform last long? How can you miss the latest gaming product from Cactus??? The Longer Life Cactus Cycles is a key attribute for the Industrial Grade products since many Industrial, Military, Gaming, Medical and other markets have designs which need a form, fit and function solution for 7 – 15+ years. While the Consumer market demands the latest form factor such as microSD with >32GB storage capacity, many gaming Industrial systems only need from gaming 32MBytes to 16GBytes of storage in a PC Card, CompactFlash or full size SD Card form factor. Often, migrating to multicore involves more than moving to a new processor. In many cases, developers must first port the legacy code to a new programming language, compiler, or OS. Using an open standard such as POSIX is highly recommended, in light of its support of many general-purpose and real-time operating systems. Doing so will help ensure that large portions of the application, including its interface with the OS, are portable. Just as important, the POSIX standard has a proven history in multiprocessing systems, and a multicore processor is simply a multiprocessing System-on-Chip (SoC). The OSs that support Symmetric Multiprocessing (SMP) are the best option for homogenous multicore processors. SMP leaves the complex details of allocating CPU resources to the OS, rather than to the application. From the application’s point of view, the interface to the OS remains the same, regardless of the number of cores, from 1 to N. Consequently, the application can scale easily as more cores are added. A multicore system running in SMP mode provides true parallelism, but some legacy applications were never designed for parallel execution. Often, large portions of the code do not use threads, which would allow different parts of the application to run in parallel or use threads only to isolate blocking system calls such as file or network I/O. Another typical pitfall occurs when code uses a priority scheme to control access to shared memory. For instance, in a uniprocessor embedded system, the softwaredeveloper can often assume that a high-priority thread and a low-priority thread will not access the memory simultaneously, since the high-priority thread will always preempt the low-priority thread. Thus, many programs fail to use a mutual exclusion lock (mutex) to properly synchronize access to the memory. In an SMP multicore system, however, both of these threads can run in parallel and, as a result, access memory simultaneously with unpredictable results. Other insidious problems might exist due to synchronization errors that work perfectly on a single processor system but surface only in multiprocessorexecution. To solve such problems, developers can divide and conquer: isolate the problem code on a single core of the multicore chip until the code can be fixed. To do this, developers can use Bound Multiprocessing (BMP), an extension to SMP that allows selected processes to run on only a specified core or CPU. In effect, BMP provides a single-core, nonparallel execution environment for legacy code while allowing other code to leverage the full parallelism of SMP. The development team can subsequently remove the CPU binding once they have modified the legacy code to behave properly in its new parallel environment. Development teams must also use the right tools. In particular, they need visualization tools that help them pinpoint areas where code is misbehaving in a parallel environment. Mostly, this effort involves the detection and correction of the synchronization bugs mentioned earlier. Once an application is operating properly, it may still fail to take advantage of all of the multicore chip’s CPU capacity. Visualization tools can help here, too, by allowing developers to reduce contention for shared resources (hot spots), eliminate excessive thread migration or communication between cores, and find opportunities for parallelizing code. As the number of cores increases in multicore platforms, visualization tools will be the key to successfully leveraging the performance benefits that multicore offers. To provide such analysis, multicore visualization tools must reach beyond the scope of conventional debug tools. They must, for example, track threads as they migrate from one core to another and diagnose messages flowing between cores. They must also offer flexible control over which events are recorded and when, so that developers can focus on areas of concern. “Multicore” does not need to be a bad word nor add another roadblock to legacy migration. Adopting portable programming standards such as POSIX, using OSs designed for multicore platforms, isolating legacy code to run on a single core, and using visualization tools all make the transition less daunting. Machine-to-Machine (M2M) communication, or the ability to connect and manage remote devices over the air, offers enormous potential. With the ability to centrally control remote industrial equipment, trackvehicle fleets, manage electric vehicle charging stations, expand the capabilities of consumer devices, and much more, M2M has profound implications for virtually every industry. High-end electronics provide drivers and passengers with in-car navigation and entertainment and information delivered over a wireless network. In fact, many car buyers today care more about the infotainment technologies embedded in the dashboard than what’s under the hood. This phenomenon is requiring additional storage space for rich multimedia data and advanced software and applications and is driving an explosive growth of both volatile and nonvolatile memories. 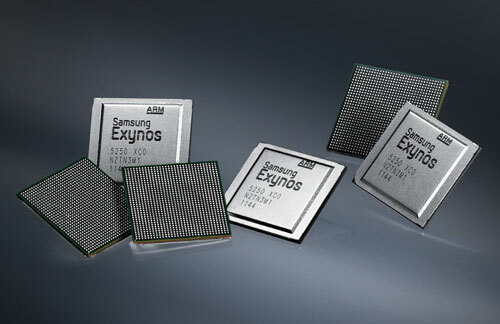 Embedded multimedia cards are helping meet this demand in today’s memory-hungry automotives. The automotive market is moderately but steadily growing. Global car sales rose 6 percent year-on-year in the first half of 2012, despite the ongoing headwinds associated with the sovereign debt problems in Western Europe and some moderation in the pace of global economic activity. Global sales of passenger cars and light commercial vehicles are expected to grow from 78 million units in 2011 to more than 100 million units in 2018. In a recent study, Gartner confirmed that electronics are playing a major role in the advancement of automotive technology. Electronic content in cars has been steadily increasing since the first digital engine control modules were introduced in the ’80s. Today, microelectronics enable advanced safety features, new information and entertainment services, and greater energy efficiency. The electric/electronic share of value added to a state-of-the-art vehicle is already at 40 percent for traditional, internal combustion engine cars and jumps as high as 75 percent for electric or hybrid electric vehicles. This trend will accelerate as advances in semiconductor technology continue to drive down the cost of various electronic modules and subsystems. The competitive market for smart, connected devices is heating up, which requires OEMs to stay focused on differentiating their products and getting to market quickly. ARM-based building blocks are enabling OEMs to reallocate the resources needed to find, install, program, and troubleshoot drivers or debug hardware and concentrate instead on their core competencies. With prevalidated platforms that are fully configured and tested to deliver the required interoperability, compatibility, and functionality, OEMs can focus on application development and reuse existing application-specific software on a flexible hardware framework. It is a dynamic time in the embedded market, as processors and software advancements are breaking down the barriers that once limited the implementation of various computing platforms. In conjunction with these advancements, embedded computing board and module suppliers are continually enhancing their platform portfolios to take advantage of the performance, interface, functionality, and power improvements available with next-generation processor architectures.